The application process to become a funded Time to Change Hub is closed. What if we don’t win funding? A Time to Change Hub is a way for local people and local public, private and voluntary sector organisations to come together to end the stigma and discrimination that stops people with mental health problems getting the support they need, at great cost to themselves and society. Maximise their impact on local attitudes and behaviour through public events. Make sure that local mental health policies address stigma and discrimination. As NHS England’s 2016 Five Year Forward View for Mental Health says, ‘over the last five years, public attitudes towards mental health have improved, in part due to the Time to Change campaign’, which is run by Mind and Rethink Mental Illness. £15,000 for administration costs such as staff time and travel expenses to help people with Lived Experience of mental health problems to fully co-lead the partnership. £10,000 for a local Champions Fund so that people with Lived Experience can apply for grants to run their own anti-stigma and discrimination activities. Connections with local people, organisations, employers and schools who are already part of Time to Change so that you can synergise and pool resources such as time and venues. An induction and training package to make all partners confident about working together to address stigma and discrimination. Support and online resources for events, activities and marketing. An online forum and a networking event to share learning with other Hubs. 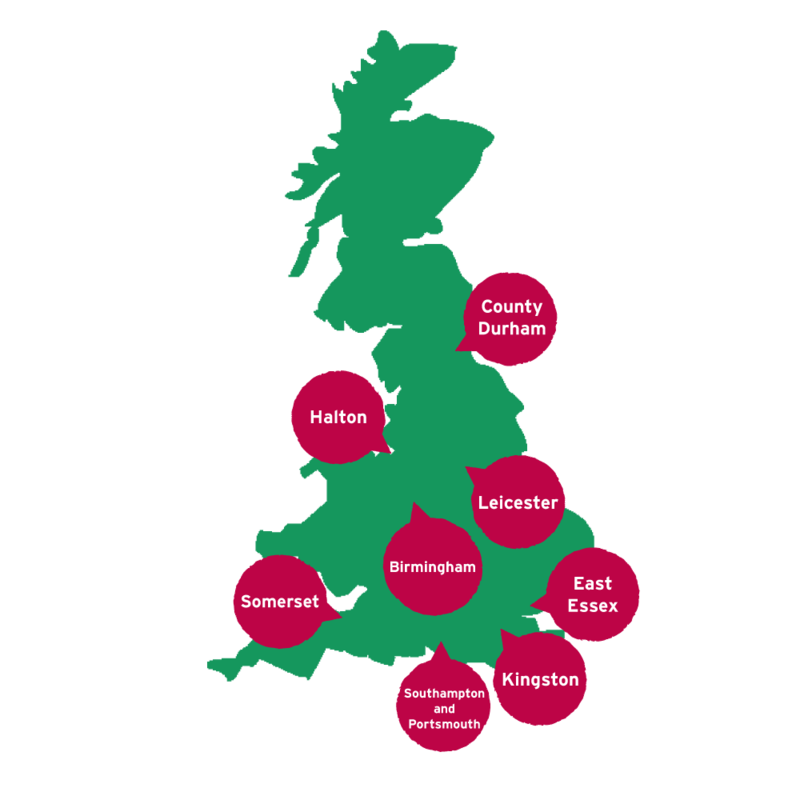 Our other funded hubs are located in: Worcestershire, Nottingham, Bristol, Waltham Forest and West Sussex. Ideal applicants will propose strong, genuinely co-led partnerships between local people with Lived Experience, the Local Authority and/or Health and Wellbeing Board, local voluntary sector organisations, and other partners such as employers, schools and NHS. As well as eight existing funded Hubs, there are 24 ‘Organic’ Hubs. They include: York, Durham, Newcastle, Blackpool, Manchester, Surrey, Leicester, Bath and North Somerset, South Gloucester, Norfolk, Sutton, Barnet, Kingston, Enfield, and Buckinghamshire. These applied to be funded Hubs, were not selected, but were strong enough to be given Hub status. They don’t get funding, but they do get the same suite of support, although to a lighter degree. Some Organic Hubs get funding from other sources as they progress, even exceeding the funding that Time to Change offers to funded Hubs. But experience shows that commitment, enthusiasm and a strong local partnership are almost more important. There is great competition to be an Organic Hub, so applicants who miss out on our funding must still meet the criteria set out in the Hub Information Paper in order to be awarded Organic Hub status.